The peopling of the Americas remains a complicated subject, and one which is open to a great deal of debate. While earlier migrations are especially debated, it is generally accepted that there was a broad phase of migration (involving several individual waves of migration) into the 'New World' of the Americas between 25,000 and 15,000 years ago. These first arrivals made the most of the Bering land bridge that joined Asia to North America during the most recent ice age. Others may have followed the coastline in canoes, moving much more quickly than they would on foot. Over thousands of years these new arrivals filtered eastwards and southwards to produce the Native American civilisations that are known to archaeology and history. Elements of modern native American society prefer to propose that they have always been living in the New World and that a migration simply did not take place, despite overwhelming evidence which places human evolution firmly in Africa. 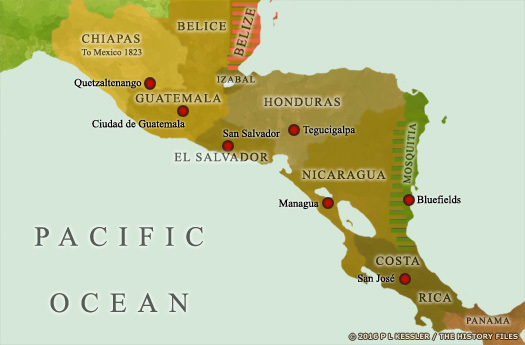 The Mosquito Coast today forms the eastern, Atlantic border of Nicaragua. 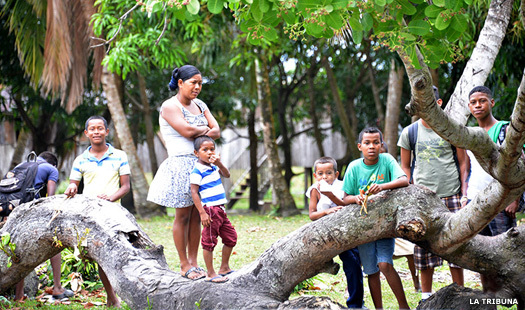 The people here are a combination of indigenous natives (possibly related to the Maya), an Afro-Miskito mix (largely dominant towards the north of the territory), plus Afro-Native Americans and English. The Miskito royal family itself gradually interbred with African arrivals to produce a line of descent that, by the early nineteenth century, was almost entirely pure African in its ethnic origin. The original Miskito language is still extant, although it exists alongside Creole English and Spanish, the latter of which is now the language of officialdom. Their traditional territory stretches from Cape Camarón in the north (now on the coast of Honduras) to the River Rio Grande de Matgalpa in the south (approximately central on Nicaragua's coastline). The earliest recorded name of a king of the Miskito natives along the coast dates from around AD 900, with tradition claiming him as the unifier of the local tribes. The first sustained contact with the dominant tribe or tribes on what became known as the Mosquito Coast came in the 1630s, when the Providence Island Company of the British Colonies of North America made contact. They established friendly relations with the king, and founded bases in two cays in the region. The company remained there for a decade, between 1631-1641, and also aided the son of the Miskito king in paying a royal visit to England during the reign of King Charles I. Afterwards, when this Miskito prince had returned home and succeeded his father, he placed his land under English protection. Contact with the English not only Anglicised the Miskito kings, it also introduced a sizable degree of Anglicisation to eastern Nicaragua itself. 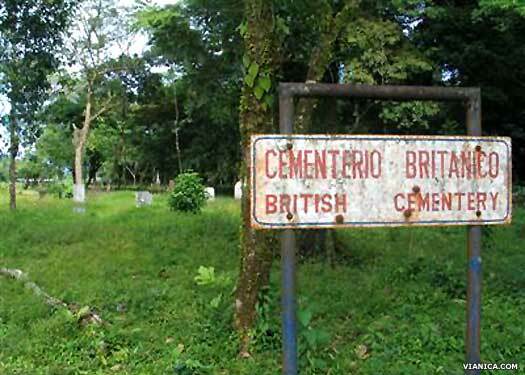 English surnames and Christian names became common on the Atlantic coast, and at least one British cemetery still exists there. English names among Nicaraguans are still not uncommon today, albeit English names in the Spanish style, with two first names and two surnames. The modern name, 'Mosquito Coast' bears no relation to the insect of the same name - the native Miskito gave their name to the coastline while the insect bears a Spanish name that has a different origin. The Miskito name has also been rendered in various forms, including Moscos, Moustiques, Musquetos, Mosquito, Miskitia, and by the Spanish as La Mosquitia. Josephenie Hendy Twaska Clarence Robertson is related to the Miskito royal family on her mother's side, her mother being Ketura Hendy Hebbert (the Miskito follow matrilineal descent when selecting their rulers). Created a reverend in the Moravian Church in 1999, in her work on documenting Miskito history claims a North African connection for Miskito King Oldman (circa1650-1687). Oldman's grandfather is stated as being O'man Muscat Khaldoun, a descendent of 'al-Wazir' of Egypt (a 'wazir' was an official title for a minister or advisor to the ruler). There was indeed an Ibn Khaldun, born in 1332, who spent much time in Egypt, and adventured as a scholar from Muscat in Oman to the kingdom of Ghana and across North Africa. He was part of the court of Granada which participated in a peace mission with the Christians in 1359. The ship which carried his wife and his son, Muhammed, disappeared and was lost off the coast of Gibraltar. The inference is that the royal house of the Miskito is descended from the lost Muhammed, whose ship must have been blown off course to make landfall on the Mosquito Coast. If any written proof existed it was lost when the Nicaraguans destroyed Miskito records following their armed takeover of the kingdom in 1894. First known Miskito king to unite the region's tribes. According to tradition - oral, as no writing exists until the Europeans arrive - Boopam is responsible for uniting the various native tribes along the Mosquito Coast (twelve in total, according to the author of Yapti Tasbia). These amount to around half a dozen ethnic groups split into as many as thirty tribes (the latter according to early Spanish explorers of the seventeenth century). Apparently, at this time the 'white city' is a place of learning, with art, homeopathy, and herbal remedies all being studied. Little or no Spanish control has been established in the region, thanks largely to Misquito warriors chasing off any attempt to make landfall here. As a result, the Mosquito Coast along the Atlantic makes a perfect haven for Dutch and English pirates who are searching for safe bases from which to launch attacks on gold-laden shipping coming out of New Spain. Proceeding outwards from the British Colonies of North America, the earl of Warwick's Providence Island Company is formed on Providence Island in the Caribbean (now part of Colombia). The company makes contact with the Miskito and establishes friendly relations with the king and his people. Two English bases are founded in the region and, in 1638, the kingdom of Mosquitia is officially recognised by England. Providence Island is captured by Spain, leaving England without a base in the region. It is during this period, the mid-1600s (and perhaps in 1641 itself), that a slave ship is apparently wrecked along the coast and the surviving Africans make it safely to shore. They find a new home there, and their mixed race descendants become known as Mosquito Zambos (or Sambu), but whether they remain slaves or freely form part of Miskito society is unclear. A separate group of Africans from the wreck prospers to the south, becoming known as the Tawirs, or straight-haired Miskito. Less cross-bred with the natives, this group forms a strong rivalry with the Zambos which sometimes leads to open warfare. Having established friendly relations with the Miskito, the earl of Warwick persuades the king to send his son, Oldman, to England. Oldman is received by King Charles I, but he returns to Miskito to find that his father has died during his absence. Oldman is now king in his place. The records of Reverend Josephenie Hendy Twaska Clarence Robertson show Oldman's reign of almost four decades as two different kings, Oldman I and Oldman II, with the first reigning from around 1640-1677 and the second reigning until 1687. No other available source shows this, and with the sudden adoption of English Christian names from Jeremy I onwards, even the possibility that 'Oldman' is a title reserved for the ruler cannot be explored. In another version of the same records, one King O'Man Muscat Nani is given a reign between 1631-1686 and it is his father who is the one to visit England in 1634-1637, now named as King Kukra, the son of the unnamed king shown above. O'Man Muscat Nani also visits England, in 1666. This has all been pieced together following the destruction of Miskito records in 1894, so none of it can be guaranteed to be accurate. Son. Paid a visit to England in the 1640s. Two kings in one? English troops take Jamaica from New Spain, adding it to their New World Colonies and making it a hub for rum production and slave trading. It also allows renewed contact with the Mosquito Coast. The English governor of Jamaica now forms the direct link of authority between the Miskito king and the English crown. The holder of this office also provides official recognition of each new Miskito king, with Jeremy I being crowned in Jamaica. Son. A Zambo. The first to use 'His Majesty' as a form of address. The kingdom is described at this time as a loose collection of settlements strung out along the coast, peopled by a mixture of natives and Zambos living in a relatively egalitarian state. The king is only empowered as a war leader, but there seems to be scope for that as Zambo raids towards the Yucatan and Costa Rica reach their height, 1699 being the first of their attacks against New Spain to be recorded. Slaves are taken and sold to the English settlements along the Mosquito Coast for shipment to Jamaica. Britain concludes a formal treaty of friendship and alliance with the Miskito king. A protectorate is established over the coast. However, during this century competition between the Creole Spanish groups in the north and the less racially mixed Miskito in the south sometimes heats up into open warfare. Perhaps for this reason, records of the Miskitos (or Moskitos) for this period are sketchy and little is known of the kings. The Spanish claim a Bernabé ruling at the same time as Jeremy II is known to reign, so either they are the same man with different names, or Bernabé is a rival king. Son. A minor at accession. Brother of Jeremy II. King-regent during Edward's minority. Seemingly a second formal treaty of friendship and alliance is concluded between Great Britain and the Miskito king on 8 April 1740. Effectively speaking, Britain takes command of the Mosquito Coast. The impetus at this date is to enlist Miskito support in the War of Jenkins' Ear, which pitches Britain against Spain between 1739-1748. In 1749 a British 'Superintendent of the Shore' is placed in a residential post on the coast so that Britain can more directly advise the king in drawing up legislation and aid him in moving the kingdom towards closer relations with Britain. In effect, the Miskito are now part of a British protectorate, although it may also be argued that it is more of an agreement of cooperation. Brother of Edward I. Died during a smallpox epidemic. Poisoned by his brother, Stephen, or by friends of a wife. The Miskito have aided Britain greatly during the American Revolution, scoring notable victories over the Spanish who have been supporting the revolutionary forces. Now, however, Britain is forced to withdraw from much of the Atlantic Coast, including that of central America and Mosquitia. Some native families and their slaves are relocated by their departing allies to British Honduras (modern Belize). Subsequent renewed Spanish attempts to establish colonies in the area still come to nothing, and Britain maintains more distant relations with the Miskito despite being forced to withdraw physically from the region. A number of British advisors are soon reintroduced into the state from the colony at British Honduras, which serves to keep the Spanish colonial government at bay, along with the USA which soon develops an interest in the region. Son. A minor at accession. Strangled by his wife. Brother of George II. King-regent during Augustus' minority. New Spain achieves independence from Spain, bringing three hundred years of governance of the colonies to an end. On 3 October 1821, the captaincy general of Guatemala (modern Chiapas, Costa Rica, El Salvador, Guatemala, Honduras, and Nicaragua) is annexed to the Mexican empire. However, just two years later the southern Central American states form their own federal republic. Son of George Frederic Augustus I. Half-brother of GFA II. Having already forbidden the practise of enslaving people on 1 November 1832, Robert Charles Frederic now proclaims the total abolition of slavery, on 27 August. It is one of his last acts as king before his death on 8 October 1841 due to alcoholism. Regent and grandfather by his daughter, Queen Juliana. The Miskito natives seize the colony of Greytown (now renamed as San Juan del Norte), with British support. The event is noticed by the USA, but a minor action of reprisal in 1854 achieves nothing. The 1850 Clayton-Bulwer Treaty ensures that neither power will fortify the coast or attempt to colonise it. With interest in the region waning, in 1859 Britain delegates its protectorate to Honduras. The Miskito revolt against this decision the following year, so suzerainty of the entire coast is passed to Nicaragua, with the Miskito confined to a limited 'Mosquito Reserve' and their kings now recognised only as chiefs, a dictate which has little effect as no outside power is able to exercise its authority along the coast. The British Union Flag is lowered on the Coast for the last time. Nephew of George IV. 'Hereditary Chief' from 1860. Brother. First full 'Hereditary Chief' of Miskito. Poisoned. Although King George Augustus had managed to negotiate a Nicaraguan acceptance of his kingship, the Nicaraguans refuse to recognise his successor or pay the agreed subsidy. Even so, he reigns, and initially does so under a regency council owing to his young age. His life is prematurely ended after he is poisoned by a Nicaraguan Spaniard. Cousin. Grandson of George F Augustus I. Accidental death. Cousin. Proclaimed by Nicaragua. Abdicated. Returned in 1894. Cousin. Grandson of Robert Charles Frederic. Fell from horse. Cousin. Last 'hereditary chief'. Deposed and retained title in exile. 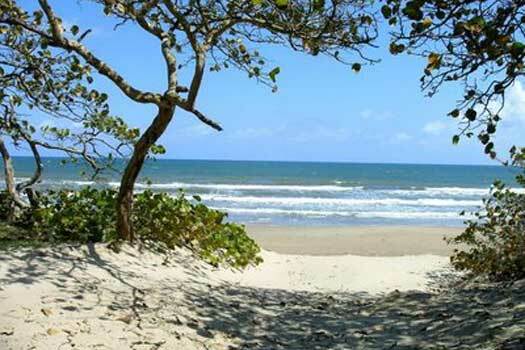 The Atlantic Coast is forcibly incorporated into Nicaragua by President Jose Santos Zelaya. Robert Henry Clarence, son of Chief William Henry Clarence of the Twaska-Miskito group, is deposed by the Nicaraguans and rescued by a British warship, along with a core group of two hundred supporters. He retains his title, and remains head of the royal house until his death. In Miskito itself, hundreds of deaths are alleged during the Nicaraguan takeover, along with the burning of libraries and records. The kingdom is renamed as the department of Zelaya. Former hereditary chief. Died 1908. While Robert Henry Clarence remains the accepted chief of the Miskito, the Nicaraguans attempt to remove even his title by appointing their own claimant. They chose Andrew Hendy, their established puppet of 1888 who had already been forced to abdicate by his own people after about a year in office. Now, on 20 November 1894, he is formally re-installed in office at the government palace at Bluefields. He and his successors are shown in green text below as rival for office against the accepted claimant (in black). Miskito rebellions against his presence in 1896 and 1899-1900 do nothing to change the situation. Restored by Nicaragua as a puppet rival. Died. Great Britain acknowledges the full sovereignty of Nicaragua over the Miskito lands by means of a treaty which is concluded on 19 April 1905. Britain's own interests are now firmly fixed on the empire in South Asia. Cousin. Born c.1855. Hereditary chief apparent. Died after 1928. Robert Frederick succeeds as head of the royal house and heir apparent to the Miskito throne. He is the son of Princess Mathilda and the grandson of King Robert Charles Frederic (1824-1841). His accession apparently dates from 6 January 1908, but very little is known of him or his successors. He dies some time after 1928, at Aubrayeri, Wanks River, Honduras. Son of Andrew Hendy Clarence. Rival claimant. Died 2008. Relationship unknown. Claimed to be next in line after Robert. The otherwise unknown Herbert Henry Clarence is claimed as being next in line to the hereditary title following the death of Robert Frederick. Nothing more seems to be known of him, although he leaves behind a daughter born in 1949 who passes on the title to one of her two sons, a Sean Henry Clarence. Again, nothing is known of this claimant. Mairin Celina Hendy Diaz Clarence is the daughter of rival claimant, Valazco Hendy Clarence Oracio, and granddaughter of Andrew Hendy (died 1914 - this rival line of claimants is shown in green, while further rival claimants are shown in red). While not a claimant herself, it is her son, Jose Miguel, who is the current heir to the Miskito throne. He is next-in-line to his cousin, Reverend Josephenie Hendy Twaska Clarence Robertson, who in 1960 is selected as the chief claimant by the royal family and elders of the Miskito, with the backing of a large exile community. Reverend Josephenie Hendy Twaska Clarence Robertson is the daughter of Princess Keturah Magdalane Fermina Hendy Jeremiah Clarence Hebbert, who is herself the daughter of Princess Fermina Cetruah Mairianas Margarettee Peener Hendy, the niece of Robert I Peochee-Petchenega-Mongrol Jeremy Clarence. Which exact Robert I this may be in the list above is entirely unclear. Unnamed daughter. Born 1949. Claimant? Unverified rival claimant additional to the existing claims. One Norton Cuthbert Clarence claims to be regarded as the recognised heir to the Miskito throne. Living in Pearl Key at the time, his claim seems not to be backed up by any external verification. He may be a grandson of one of the last chiefs or kings of Miskito. Either way, the hereditary kingship of the Miskito seems to fade into utter obscurity and ambiguity. Current claimant, replacing Valazco Hendy Clarence Oracio. 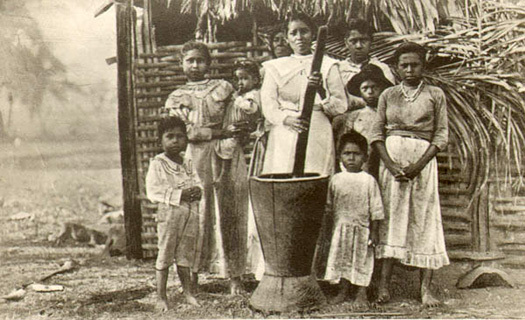 On 19 April a group of Miskito elders declare the independence of their people from Nicaragua. Their territory is still isolated - a ninety minute flight from Managua, the Nicaraguan capital, or a twenty-hour road trip. Now they announce they will not pay any heed to the government in Managua, and will not pay any taxes to it. Instead their loyalty is to the 'Community Nation of Moskitia'. A flag is unveiled and a national anthem composed, but international recognition is entirely lacking. The leader of this movement is Hector Williams (the 'White Tara' or 'Great Judge'), although the impetus behind the attempt seems largely to be driven by increasing unemployment in the region and a sense that Managua is somehow cheating the locals of their true worth. Hector Williams is not a claimant to leadership of the Miskito himself, nor to the Miskito throne, but he does appear to be allied with those claimants who are shown in green here. 'HRH Prince Jose Miguel Coleman Hendy Clarence' is stated by Reverend Josephenie Hendy Boopam Twaska Clarence Robertson as being the present heir to the royal throne (in 2014). He is the son of HRH Princess Mairin Celina Hendy Diaz and her spouse, Maximo Coleman McLean. Princess Mairin is the granddaughter of the Nicaraguan puppet ruler, Andrew Hendy Clarence, who died 1914. Son of Mairin Celina. Cousin and heir to Josephenie.